On 21 January 2010 twelve people were detained under the controversial Internal Security Act (ISA). The detainees were under incommunicado detention, thus, were denied their right to seek legal advice nor challenge the “evidence” on which their detention is based. One of the detainees is a Malaysian citizen and the rest are foreigners. Five of the detainees have been deported to their country of origin and six other foreign detainees are due to be deported soon. One of the deported detainees Khaleed Salem who is of Yemeni origin was taken to police custody immediately upon his arrival to the country. IHRC urges campaigners to write to Chairperson-Rapporteur of UN Working Group on Arbitrary Detention requesting them to take action against the arbitrary detention of the twelve detainees. ISA was enacted by the Malaysian Parliament in 1960 soon after the independence of the country from Britain in 1957. The ISA empowers the police to detain a person for 60 days without trial on the grounds of national security. After the end of the 60 day period, the Minister of Home Affairs can further extend the detention for a period of two years. It can then be renewed for every two years. Hence, under the ISA, a detainee may be held indefinitely incommunicado detention. The aim of the ISA was initially to obviate the so called ‘Communist threat’. 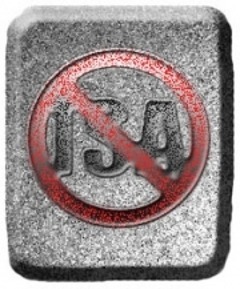 Until the collapse of the Soviet Union, the ISA was fiercely used to subjugate the leftist opposition. However, in the last two decades the ISA has notoriously been used to repress any critical voice against government policies viz. human rights activists, journalists, minority groups and academics. On 15 March 2010, Malaysian human rights groups, Suara Rakyat Malaysia (SUARAM) and Gerakan Mansuhkan ISA (GMI), have informed the international community of the deportation of the five detainees who had previously been held under ISA. The Malaysian authorities accused the detainees of involvement in international terrorism yet refused to hear their habeas corpus applications. The government official employed a legal legerdemain to ease pressure that is mounted on the ISA. They informed the public that, the detainees were first “released” from the ISA and then were handed over to the Immigration Department because their visa had expired. Thus, they did not permit them to challenge their incommunicado detention. 1. Azzahari bin Murad (Malaysian). He has been detained under the Section 8(5) of the ISA, which imposes strict control orders on detainees. He is now restricted to areas in Petaling Jaya. The detainees have been held under incommunicado detention and prevented from qualified legal advice. They have not also been permitted to challenge “evidences” that are held against them which amounts to arbitrary detention. Considering that at present, Universal Declaration of Human Rights has been incorporated in the domain of customary international law, the Malaysian government, by implementing its policy of incommunicado detention, is in breach of both the Rome Statute of the International Criminal Court and the customary international law. 1. Allow family members to meet the detainees. 2. Allow lawyers to meet the detainees. 3. Confirm the names and the safety conditions of the detainees. 4. Either try the detainees before an impartial and independent court or release them immediately. Sample letter to the UN Working Group on Arbitrary Detention. You may write to Chairperson-Rapporteur of Working Group on Arbitrary Detention Malick El Hadji Sow via the email address wgad@ohchr.org, and you may CC that to and InfoDesk@ohchr.org. I am writing to express my extreme concern regarding the recent violation of human rights of the 12 detainees who were held under the controversial Internal Security Act (ISA) in Malaysia. As you may be aware ISA legislation was enacted by the Malaysian Parliament in 1960 soon after the independence of the country from Britain in 1957. The ISA empowers the police to detain a person for 60 days without trial on the grounds of national security. After the end of the 60 day period, the Minister of Home Affairs can further extend the detention for a period of two years. It can then be renewed for every two years. Hence, under the ISA, a detainee may be held indefinitely incommunicado detention.